A tool that, surprisingly, I’ve never been taught at school or University is now a tool that I use daily. Visualization, also known as “conscious manifestation”, “the law of attraction” or “the secret”, put simply is the act of processing your visual thoughts into visual form. Whether you are studying, playing sports, or doing business, positively visualizing your end-goal thoroughly through your mind really does help take the needed actions to increase the chances of it happening in real life. Ever been stuck on a test? 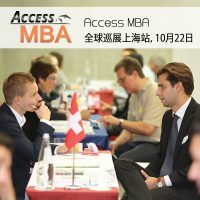 Stuck on delivering a presentation? Or stuck on what to say in a meeting? I realised myself that these doubts were all created in my own mind – therefore of course they all didn’t turn out well at the time. I learnt that by simply making the shift in mindset from I can’t to I can made the vital difference needed to turn around and succeed. The average mind has an average of around fifty-thousand thoughts or more per day. As humans, we tend to have quite a large number of negative thoughts against ourselves such as doubts, worries, and so on. The good news is that our minds can be trained to think otherwise, training your mind to immediately shut-down any kind of negative thoughts which come to mind is key. I like to picture my brain as a well-guarded base which immediately blocks-out any unwelcomed bad thoughts that arrive and, instead, welcomes and embraces the good thoughts that arrive. This is harder than it sounds, and it does take some time in developing, but with persistent training this will become more of instincts than a training exercise. I suggest giving a quiet ten minutes each day to yourself; to really think and reflect on your own wants and needs. This should be the very first thing done each day. People work hard, aiming to impress their boss, co-workers, professors and so on, but what we sometimes forget is to give our own time to impress and motivate ourselves first. Once you make sure that your own needs are met, your wants are visualized, and your goals are set for each day, you are really able to give a lot more to both yourself and to the others around you. Albert Einstein, Napoleon Hill, Bob Proctor are the likes of some of the people who have adapted visualization to their lives. They are smart people, but they have proven that it’s not rocket-science. It is simply doing what you usually do everyday – using your brain to think – but just simply eliminating the negative thoughts upon your self and to focus only on the positive and uplifting ones. “I am a big believer in visualization. I run through my races mentally so that I feel even more prepared”. – Allyson Felix, three-time world champion, 200m. Before your next test, your next speech, your next meeting, or your next sprint, run your event through your mind of it turning out successfully. 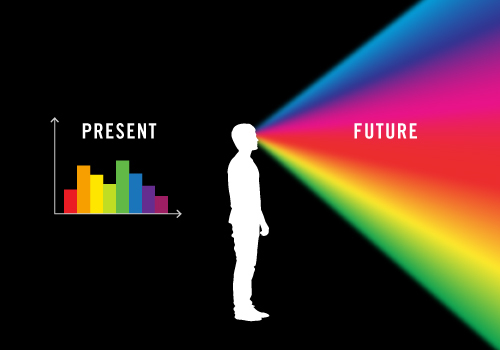 With the right mindset and the sufficient amount of action, your chances of turning your visual thoughts into visual form might have just increased dramatically. 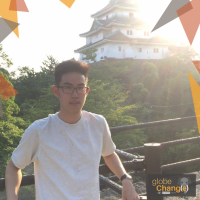 This post was written by Jason Grant, Associate Director of NEXSTEP in Thailand. 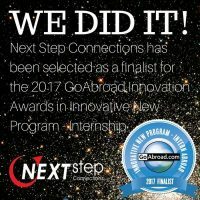 2017 Finalist of GoAbroad Global Innovation Awards for Best Internship Program.